Amazing exercise and rehab tool for targeted and effective massage. The unique design of BLACKROLL DuoBall offers you the ultimate self-massage tool. Available in 8cm and 12cm diameter. The lightest and greenest foam roller we have ever found. BLACKROLL® have taken the standard of foam rollers to an even greater level. Extremely strong and durable the BLACKROLL® is an indispensable tool for training and recovery. 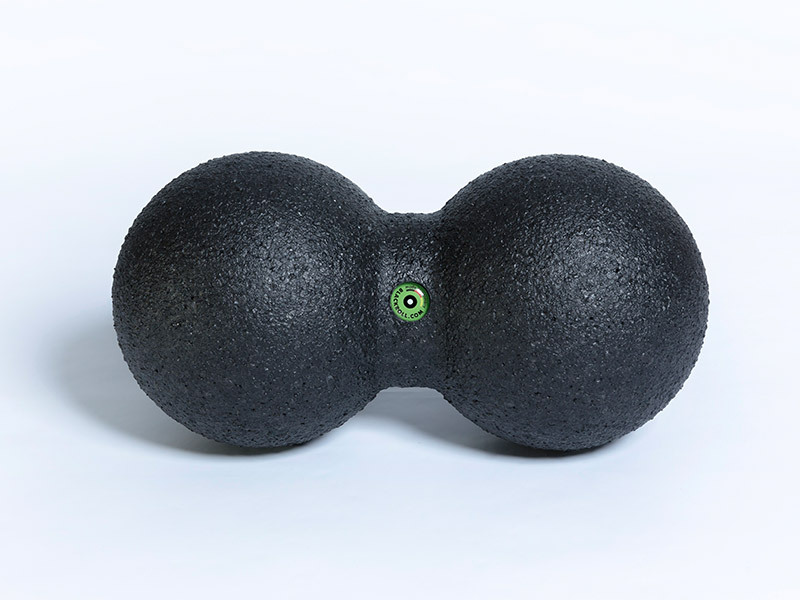 The BLACKROLL® DuoBall - Features firm hardness which is appropriate for all applications to provide self-massage. The level of firmness is higher than standard foam rollers to give a strong and deep massage effect. With the help of the BLACKROLL® you can noticeably improve your flexibility and capacity of the muscular system with just little effort and simple exercises. Regular and targeted training regenerates the muscles and ensures prolonging release of tension and a higher performance of the muscles.